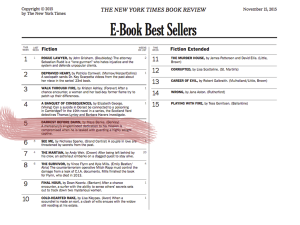 Maya Banks’ “Darkest Before Dawn″ is a New York Times Bestseller! Congrats to Maya Banks on another big bestseller! 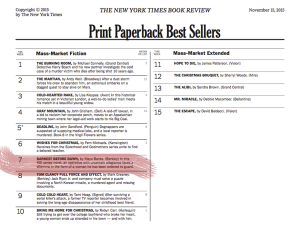 Darkest Before Dawn debuted at #5 on the New York Times E-Book Best Sellers list, #7 on the New York Times Mass-Market Fiction Print Paperback Best Sellers list, and #8 on the New York Times Combined Print & E-Book Best Sellers list! 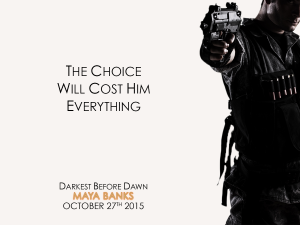 Maya Banks’ “Darkest Before Dawn” On Sale Now! The KGI series is finally back, and Hancock’s darkest hour is upon him. Darkest Before Dawn is on sale now! “Darkest Before Dawn” Is Available Tomorrow! Just one more day until Hancock’s life is forever altered… Darkest Before Dawn is on sale tomorrow, October 27th! Whitney Port IMT with AOL.com! Catch up with “The Hills” and “The City” star Whitney Port as she chats about her upcoming wedding and more during an Interactive Media Tour with AOL.com! 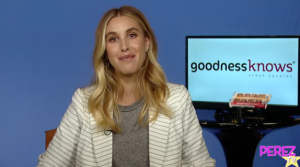 Here’s another great hit from Whitney Port’s Interactive Media Tour with CBSNews.com–check out the full interview below! Check out another great hit from Whitney Port’s Interactive Media Tour with Perez Hilton! Watch: EXCLUSIVE! The City Alum Whitney Port Reacts To False Reports Saying She Married Last Weekend! You’re Gonna Want To Hear This! Maya Banks’ “Darkest Before Dawn” Available Next Week! Will Hancock sacrifice the only woman he’s ever loved? Find out Tuesday, October 27th! Wondering who will be attending designer Whitney Port’s upcoming wedding? Check out her answer during an Interactive Media Tour with Wonderwall! Whitney Port IMT with UsMagazine.com! Here’s another great hit from last week’s Interactive Media Tour with designer Whitney Port! Check out her interview with UsMagazine.com in the link below. 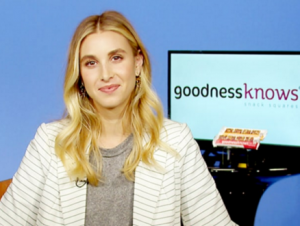 Watch: Whitney Port Talks “Modern” Upcoming Wedding, Reveals Her Bridal Fitness Tips: Watch Now! “The Hills” and “The City” star Whitney Port shares details about her upcoming wedding during an Interactive Media Tour with E! Online!